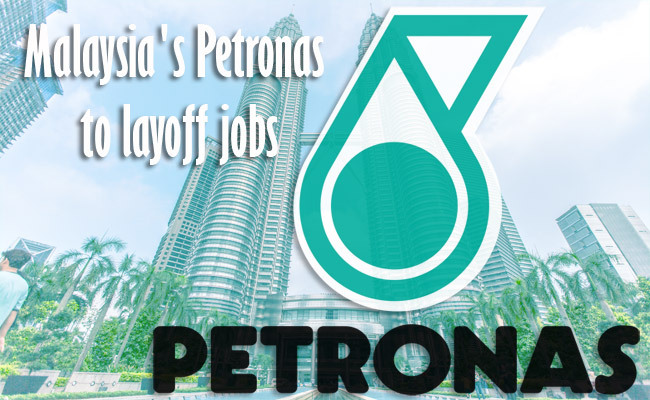 Petronas (Petroliam Nasional Berhad), a Malaysian-based state energy firm announces on Tuesday, March 1, that they will layoff 1,000 jobs as they are struggling with the sudden decline of the global oil prices that have affected their energy-dependent country. The layoff for the affected employees will take place over the next six months. According to the press release, this is the result of the leadership change that will happen in the company. This marks the beginning of the company’s "total group-wide transformation”, which aims to make the firm more resilient and focused in the present and future landscapes. Petronas is the sole and biggest source of government revenue and national export earnings. The company reported a fourth-quarter net loss of 4.69 billion ringgit ($1.1 billion) on Monday. It is the only Fortune 500 company from Malaysia. According to the company's representative, they are undertaking massive efforts to re-deploy those who will be affected. For the next three months, the company aims for go a separation exercise. However, they did not clarify whether the soon-to-be vacated positions will come from the permanent staff or contractual employees. The dismissals also come in line with the announcement of a new executive line-up. The company will offer a program called voluntary separation scheme (VSS) to selected staff members following an ongoing talent matching and redeployment exercise. Non-critical contract staff will not have their employment extended. The Malaysian state energy firm will venture on a strategic evaluation of its enterprise operating model under its new leadership team for better business efficiency, resilience, and sustainability. Petronas is not the only firm suffering due to sinking oil prices as well as other commodities, these aforementioned factors hinder the growth prospects for Malaysia. Malaysia's full-year growth last year was at five percent, one percent less on 2014. The Malaysian government expects the growth to become 4 to 4.5% this year, compared to the 5% projection last 2015.